The blog has been quiet as I prepare for some exciting changes in my life and to Duke of Drones. Please stay tuned – I’ll try to post sporadically, but look for a big announcement in July. In the meantime, I found this article interesting. The big money in UAS, as in many industries, has been in contracting with the Department of Defense. It can be lucrative for the right company, but requires patience and understanding of the federal procurement system. I found an article about the shift in the opposite direction. 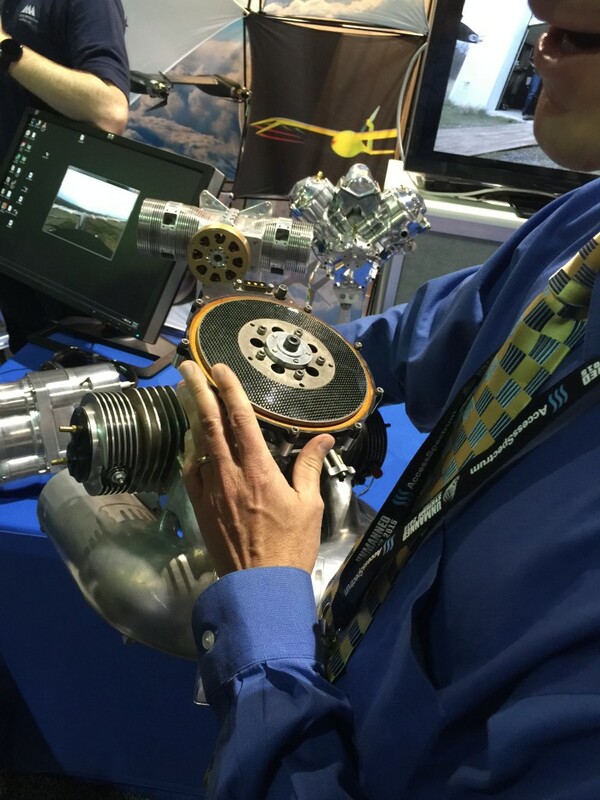 AUVSI reported on the regearing that companies are required to make to go from defense contracting to civilian markets. 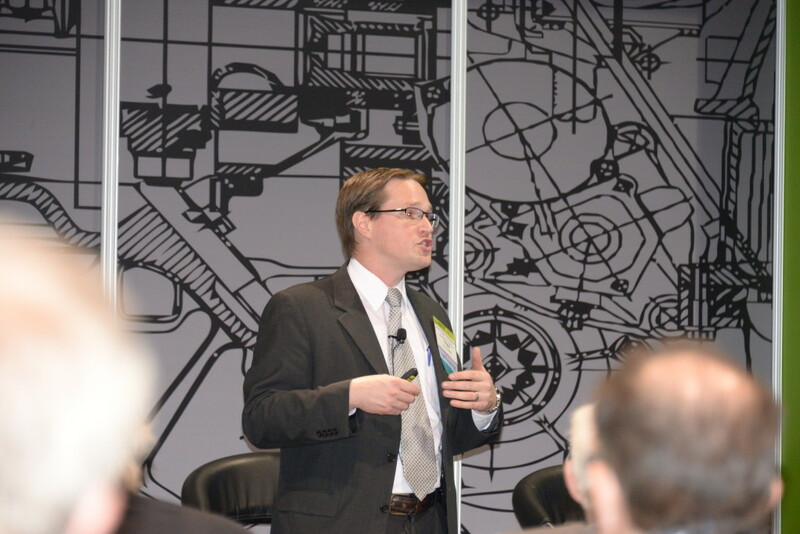 “Dollars per flight hour becomes irrelevant,” said Steve Gitlin, a VP at AeroVironment. “Instead the question is, ‘what percentage yield improvement can you deliver for my farm.’” It is all about return on investment. The military and civilian market are very different. It is good news to see a shift to the civilian side, which means the market is truly taking off! For manufacturers and service providers, it means that they have to take a look at their business before diving in. 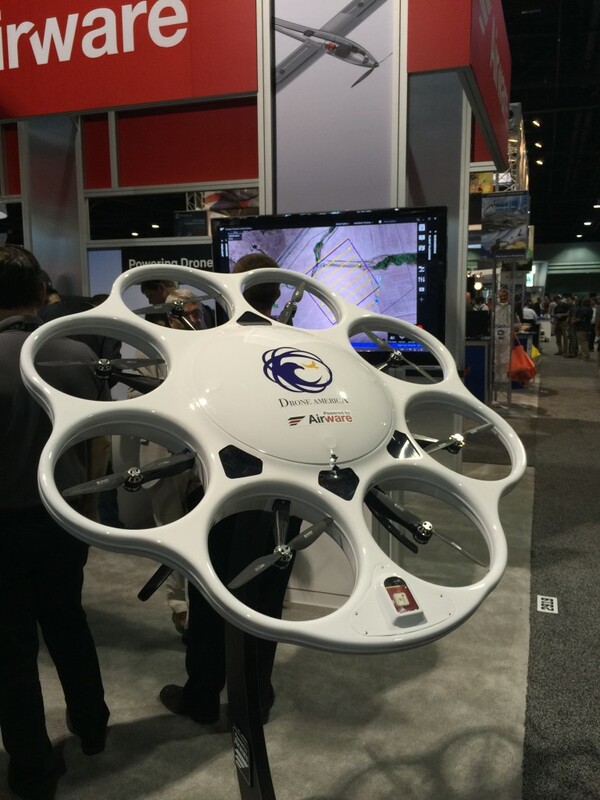 I have been remiss in discussing one of the companies that I met down at AUVSI. I’ve been wanting to do a more thorough profile, but time has been escaping me. 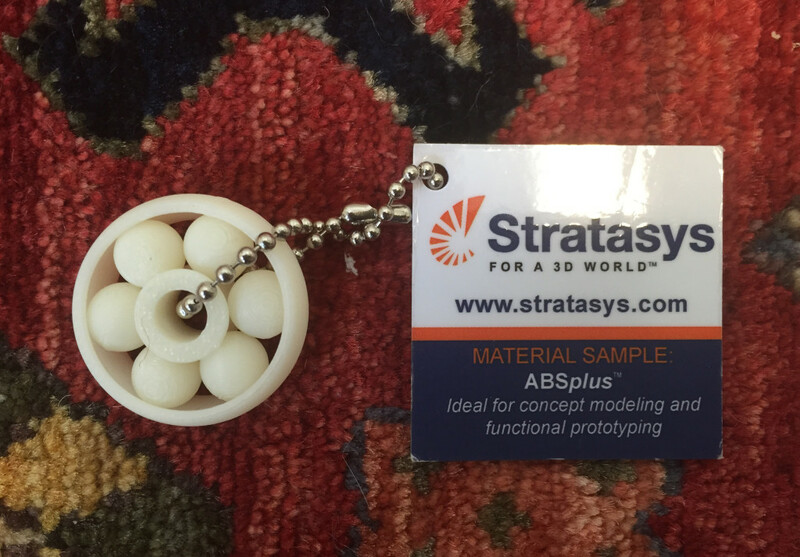 Stratasys is a company that performs 3D printing services near my old home of Boston. Massachusetts has been a hotbed of UAS innovation lately and I have been talking about the area quite frequently, so the location is well-suited for the company. I’ve heard a lot about 3D printing, but this was the first opportunity I’ve had to learn more about it and see it in person. Stratasys discusses the process on their website, and on this page they have a great video about bionic arms they created for a little girl! I’ve also included a video below that shows a part being made in time-lapse. One reason that 3D printing and UAS go together is that there are numerous unique parts that have to be designed, and they need to be both lightweight and strong. This is where traditional casting hits a wall. Some of the parts cannot be cast in a single piece, and it is impossible to weld multiple pieces together in a way that makes them both sufficiently strong and light. The second reason that 3D printing goes well with UAS is that the industry is still young and many parts are not being mass-produced. Traditional methods would require one to develop a cast for the unique piece, adding time and money. With 3D printing, one inputs the data file to the printer and it spits out the part! Finally, 3D printing can include “soluble cores.” In this case one has two options. The printer can print two separate materials and the final object is immersed in a solution that dissolves the soluble material. This creates a void. Alternatively, a mold can be made from the soluble material and used to cast a traditional object, then dissolved. This is great for prototypes and other situations where one does not want the cost of creating a traditional cast. I’ve included a picture of the swag they were giving out, a small 3D printed keychain. The material is a long, wound-up plastic filament that is printed as shown in the video, which remains in the final product. I am going to start with the most exciting part of my day, meeting with the 3D Robotics team. This was one of the interviews I was most excited about, and the 3DR team did not disappoint. I met with Dan McKinnon, who joined the company recently to develop 3DR’s Enterprise program (i.e. : commercial applications). Of course the Solo is the big hit, and it is actually central to their Enterprise program as well. It was great to meet a company filled with young and energetic engineers, and in a lighter moment he had to step away since he left a bag in an Uber car last night. But using Uber, they were able to get in touch with the driver and get his bag back – modern technology and innovation! Dan’s background in in agricultural surveying. About halfway through his PhD program he started an agricultural survey business with his father. It is still running and is called Agribotix, and their use of 3DR UAS is what brought him to 3DR. He and Jeremiah Johnson, a senior product engineer at 3DR, went over the versatility of the product and how it makes aerial photography and cinematography much easier. The Solo has “cable” and “orbital” functions for taking video. This means you can set the Solo to follow a path or circle an object respectively, and it will take care of the flight through its powerful Linux computer allowing you to focus on camera operation. These features make for great consumer videos, but will also make the Solo a powerful Enterprise tool. For example, one can circle a cell tower for an inspection or plan a flightpath along a pipeline. Additionally, the Solo is entirely modular. This will allow for commercial application since users will be able to employ different imaging sensors and 3DR plans to add a mission planning component for advanced users. I then met with Colin Guinn, a co-founder of 3DR. He is undoubtedly a busy person and a headline speaker at the conference, so I am grateful that he took the time to meet with me. His background is in cinematography, and we share some non-UAS similarities in boating so we got sidetracked for a short bit. He started taking ground photos for home builders and eventually built an RC helicopter for a camera (I believe he said a Canon 5D, but it was hard to hear). The videos were shaky, so he set off to create the best UAS gimbal on the market, and now arguably the best consumer UAS on the market. We discussed the modularity of the Solo, which also applies to consumer upgrades of various components. 3DR’s model is open innovation and modularity. They are working on a tethered drone for long-term operations and have partnered with Aurora Flight Sciences‘ Panoptes to work on Sense and Avoid issues. Panoptes is based in Cambridge, Mass and has developed a basic collision avoidance system for the Phantom and 3DR’s Iris. The FAA made their own announcement. They will release the B4UFLY App this summer and the Pathfinder Program. The app’s purpose if fairly self-explanatory and will be entering beta-testing. The latter is is a partnership with three businesses to research how to best harness UAS for various purposes. The three companies are: CNN (VLOS for news-gathering in urban areas), PrecisionHawk (BLOS to survey crops), and BNSF Railroad (BLOS to inspect rail infrastructure in isolated areas). I stopped by NUAIR’s booth, which runs the test site in upstate New York and Massachusetts. I’ve linked to my previous article about them, and it was a pleasure to meet their Executive Director, Lawrence H. Brinker. I also dropped in on my friends at American Aerospace, whose test flight I attended in Cape May a few months ago. Their work has been going well and they just received a COA from the FAA to start operations out of Cape May Airport. They are also hoping to being flights at the Massachusetts test site (which is linked to the New York test site and NUAIR) in the near future. Not only do they have great pilots and technology, but they have a knack for finding the best locations to fly! 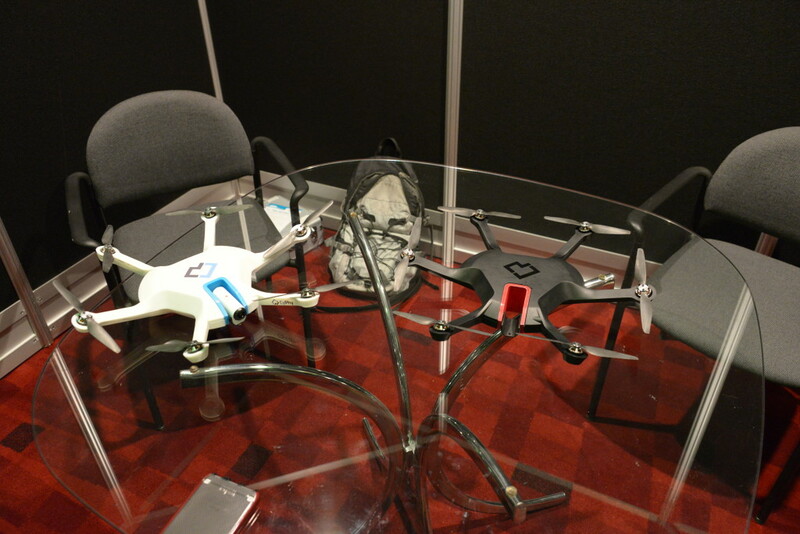 I then went to Airware’s booth. 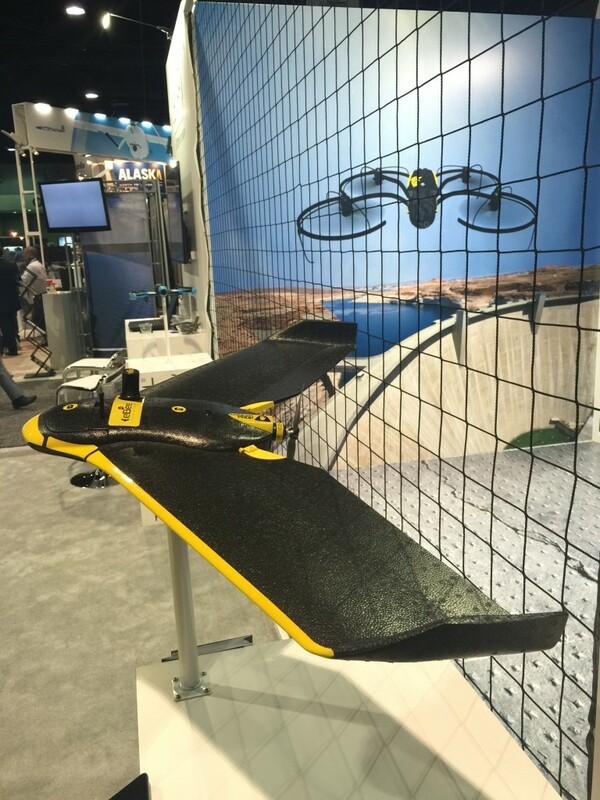 They produce operating systems and hardware for commercial drones across the world, including the DAx8 shown below. 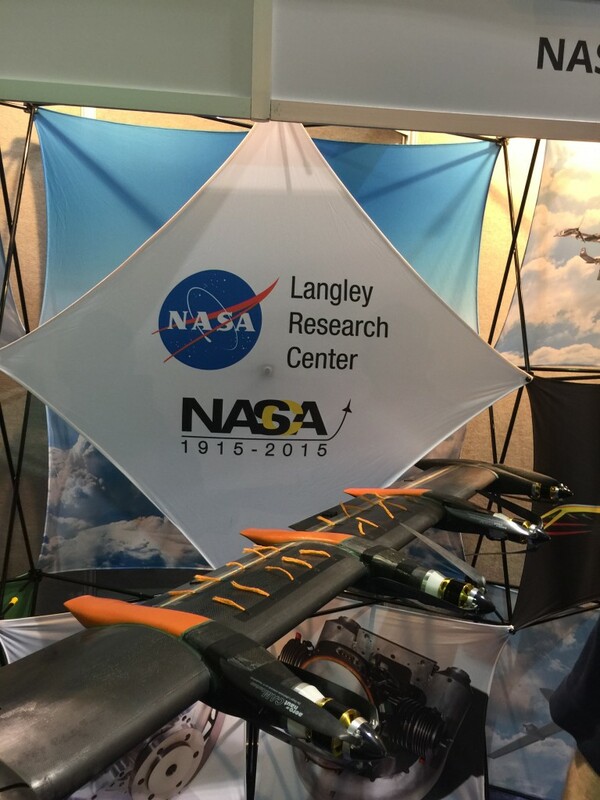 I went to NASA Langley’s booth and got to put on goggles to watch a flight of an experimental UAS. It is called the Greased Lightning GL-10 VTOL UAS. It currently runs on LiPo batteries, but they are developing a hybrid diesel. Hence the name Greased (it can run on Biofuel) Lightning (the electric propulsion system). Finally, I ran across Persistent Systems. They are in communications, which is not my forte, and I will admit I went to the booth for the swag (a Nalgene bottle). Their company grew out of a PhD project and has been focussed on military communication applications. They have tested their systems in the cavernous midtown section of Manhattan and have had found that the WaveRelay system has great range. It is also applicable to UAS, since it can be used to send multiple encrypted video feeds from a single UAS. It sounds like a great company, and I suggested they test shipboard applications by heading over to the Intrepid Museum in NYC and testing it in there. I’ll finish on a light note. 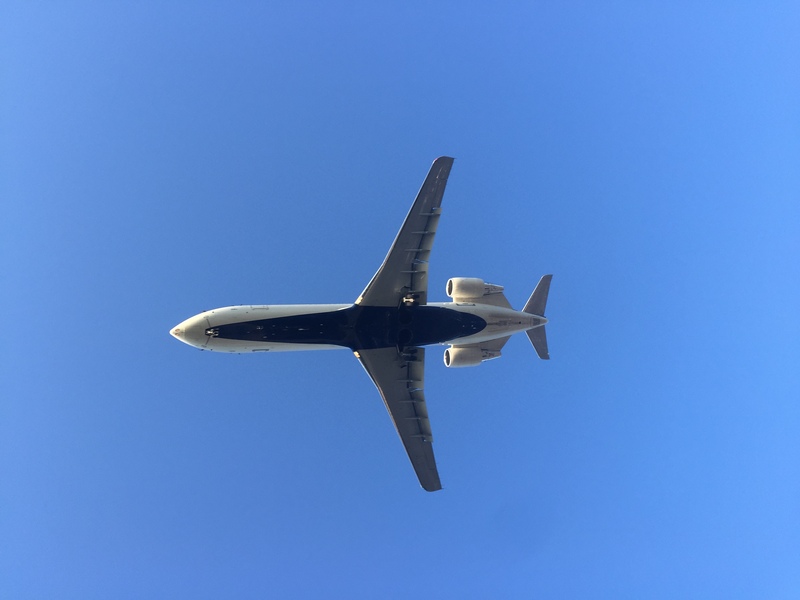 My run this morning took me under the flightpath for the airport. 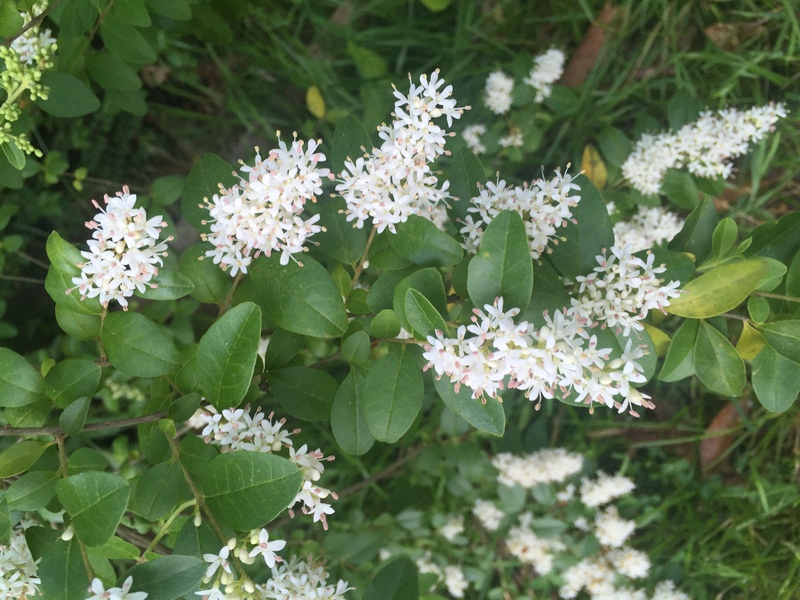 I believe this is Jasmine, but if you can help I would appreciate this. I remember the smell from Charleston and it always reminds me of a southern spring. 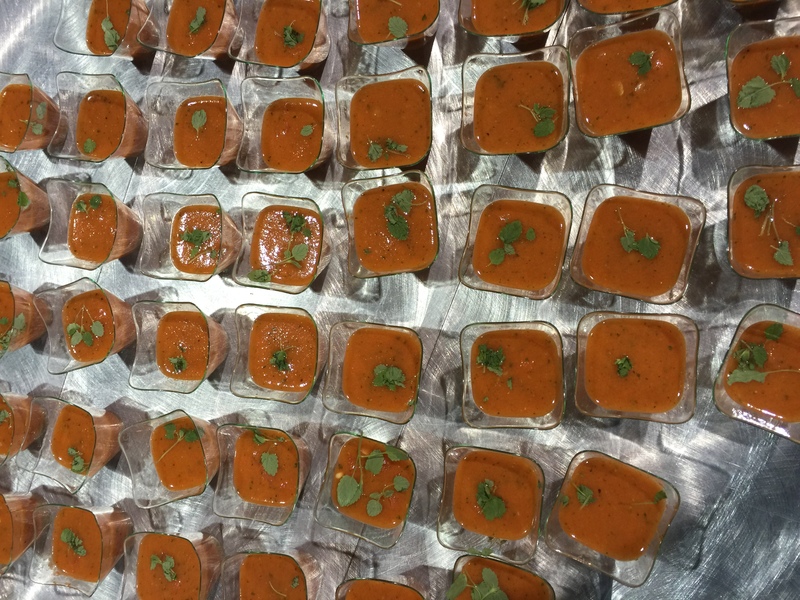 Watermelon Gazpacho “shooters” at the conference. Although I appreciated them with significant trepidation, they were surprisingly good. I am writing today from Centennial Park in Atlanta, Georgia. 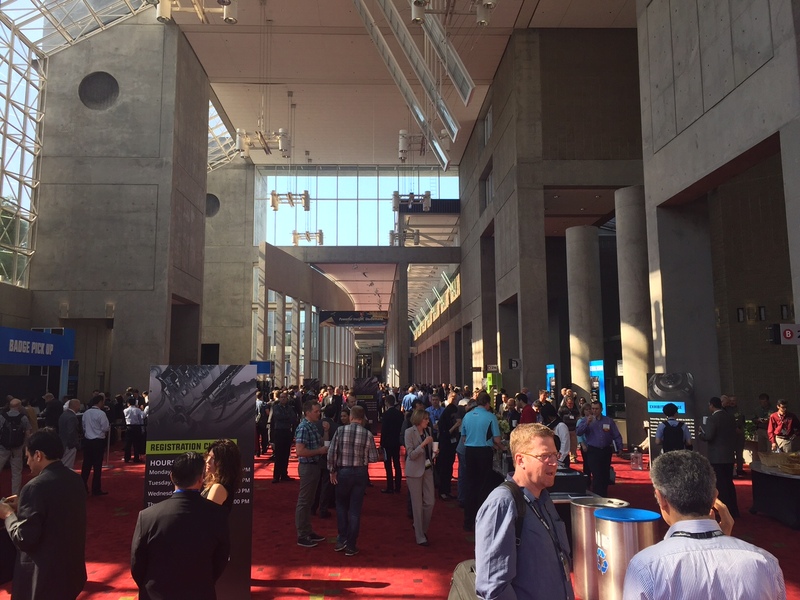 I left home at 3:00 am this morning in order to get to Atlanta for AUVSI’s Unmanned Systems 2015 Conference so it has been a long but exciting day. 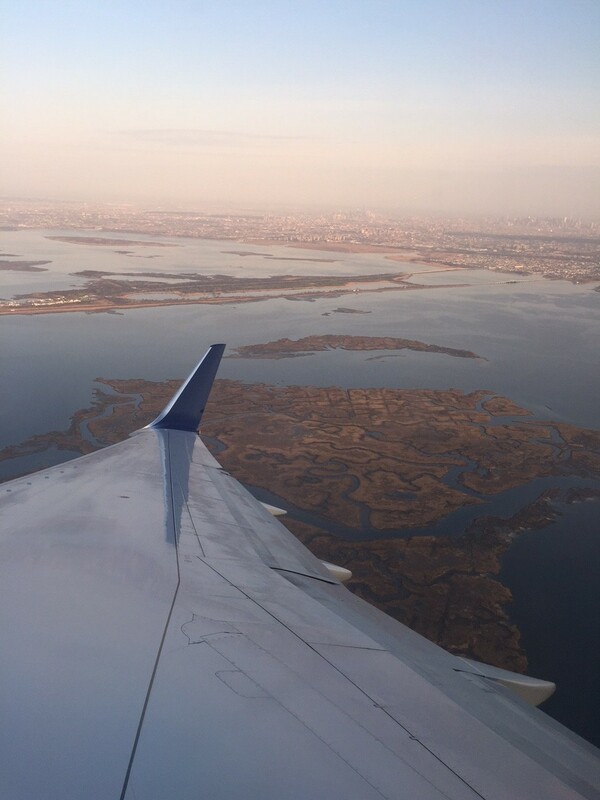 Taking off from JFK – beautiful day to fly! Landing in Atlanta. 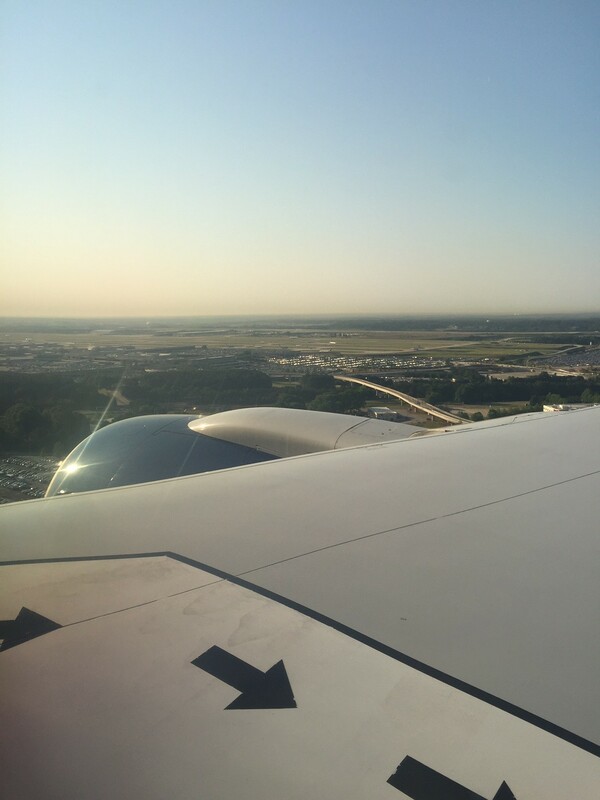 Note the two other aircraft in the distance off the wing. 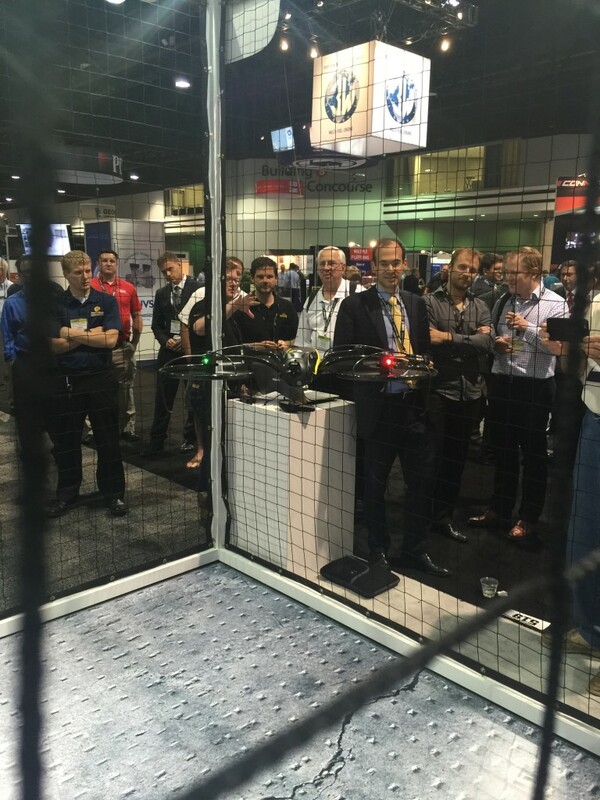 I started the morning at Unmanned Systems 2015 by visiting the booths and meeting representatives from a number of companies, both small and large. The convention is quite large so visiting every booth (much less writing about each one) is virtually impossible, but I’m meeting a good cross-section of the industry. However, I’ll start with the companies that reached out to schedule time to meet. I was excited to meet with CyPhy Works, which made a big announcement yesterday. . CyPhy introduced the LVL 1 Drone, which is geared toward the average consumer and uses innovate technology. To that end, I met with its founder, Helen Greiner, and Senior Controls Engineer, Dr. Kenneth Sebesta. Ms. Greiner is famous for her work at iRobot and has moved into the aerial arena with CyPhy Works. What distinguishes the LVL 1? The precise twist angle of the arms, an exact amount of dihedral, and lots of advanced math. This allows it to fly level without needing to tilt to fly, thereby removing the need for an expensive and prone-to-damage gimbal. Furthermore, the software allows one to control the LVL 1 with a phone using the natural workflow of a cell phone. One can also share images in real time, creating what CyPhy describes as a “flying camera” rather than an aircraft with a camera attached. Dr. Sebesta and I also briefly discussed swarming capabilities and Sense-and-Avoid. You’ll note that the highest level of kickstarting provides the investor with a “swarm.” CyPhy is focussed on the hardware, but believes that you need good bees to swarm together effectively. He did note that there is research around their home in Boston relating to bats swarming together. I also recently wrote about research into bees. The company launched the LVL 1 with a Kickstarter campaign after raising significant capital through tradition markets. They are looking forward to using this method to build a community that can provide input into design decisions. Within 24 hours they are well over 50% toward their goal of $250,000. Dr. Sebesta was energetic and I enjoyed his technical insight. Ms. Greiner has successfully launched other programs through both iRobot and now CyPhy, and LVL 1 looks to be in the same category. I then met with Jonathan Rubin of the Westbury Group. He is an investment banker in Westport, Connecticut. It’s a small world when you meet someone almost 1000 miles from home that lives one town away! 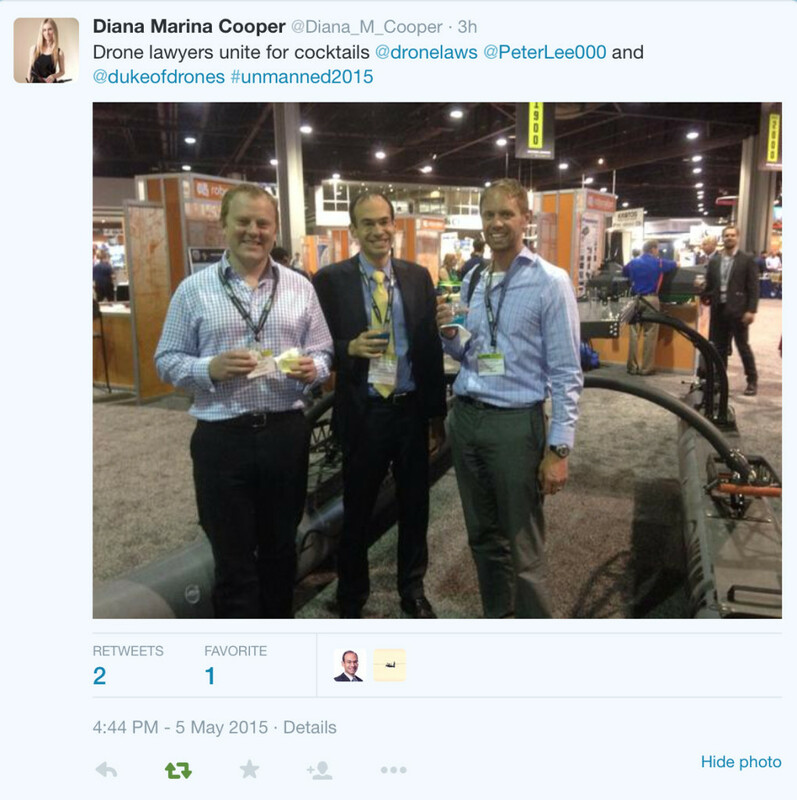 He is reaching out to companies involved with unmanned systems to gain early entry into a promising M&A market. We discussed the opportunities available, the maturity of companies in the field, and the legal obstacles to transactions. Not surprisingly, export issues was one that came up. He ran a “Shark Tank” session here at the conference, which unfortunately I had to miss. However, his debrief was illuminating. He wants a pitch to be about 65% technical and 35% business. He heard some entrepreneurs that had great technical presentations but lacked a coherent business plan, and vice versa. That is a good tip to those looking for outside investment. And the money is out there. I’m meeting with 3DR tomorrow and casually ran across the CEO of Airware, both big players in the American UAS market. Next I met with Steven Justice, Director of the Georgia Center for Innovation for Aerospace. I was pleased to meet him and learn about his organization because they are doing exactly what needs to be done for unmanned aerial systems. 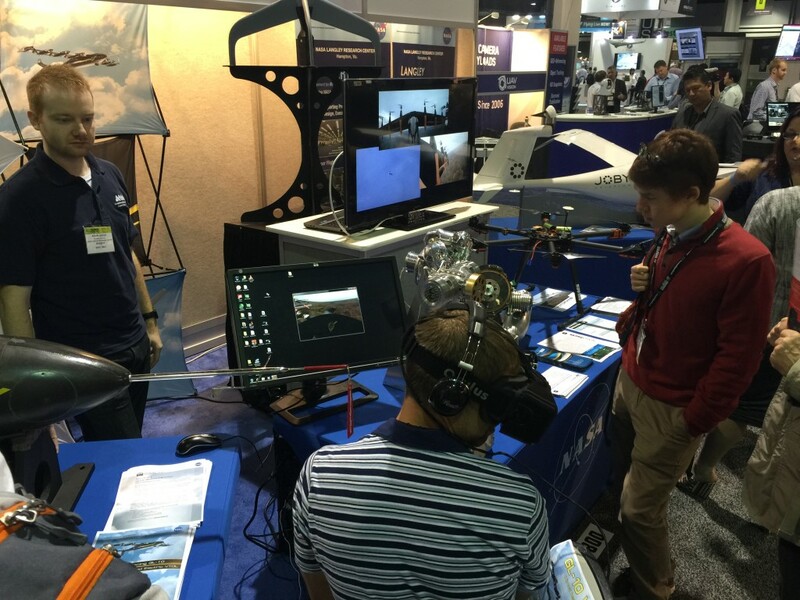 The Center is fully supported by the state and works to grow the aerospace industry in Georgia. They saw the UAS field’s potential and developed a framework for growth in 2009. The Center works to reach out to the public through the media and to educate policymakers. They also have enjoyed the FAA’s partnership over the years. The Center also wants to be a one-stop shop for aerospace questions in the state and noted that Atlanta is a hotbed for aviation law and insurance. He noted that traditional rivals University of Georgia and Georgia Tech have partnered with the state’s aviation college, Middle Georgia State College, to image cotton and peanut fields. These test fields are compared to the images from UAS, and they have found that the product is quite reliable. Peanuts are a $4 billion industry in Georgia, so Mr. Justice noted that even a 1% increase would be significant. He wants to use UAS to realize both primary (a company which builds drones) and secondary benefits (such as through peanut farming). Returning to Mr. Justice, he explained that Georgia’s Aerospace Industry is split almost equally into thirds: aerospace manufacturing, air transport (think Delta Airlines), and MRO (Maintenance, Repair, and Overhaul). He finds this a healthy balance that allows for a fluid workforce. Finally, he mentioned that the Center is working on using alternative energies, a topic which I have discussed in depth. While he doesn’t expect a 767 to fly on batteries anytime soon, he wouldn’t be surprised to see unmanned alternative fuel technology move into small 1-2 person aircraft in our lifetimes. I then watched a seminar given by Jonathan Rupprecht, an pilot and attorney based in West Palm Beach, Florida. It was a pleasure listening to him describe the regulatory requirements for UAS flight to the audience. Finally, I met a group of “drone attorneys” from around the world. Diana Cooper from Ottawa (Canada), Peter Lee from Cambridge (U.K.), and Brendan Schulman from New York. Brendan and I are enjoying the “Into the Clouds” signature cocktail. From the best I could tell, the ingredients were sugar, blue food coloring, alcohol, and water (in that order). It was a pleasure meeting the group and I look forward to seeing them again. Brendan is not only a drone lawyer, but a UAS (formerly known as “RC plane”) pilot for over 20 years. 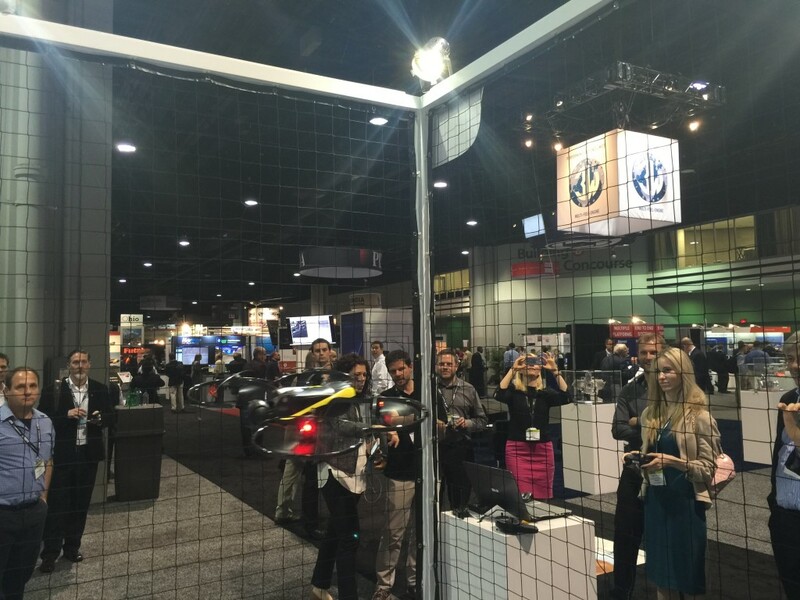 We made our way over to senseFly’s flight cage on the expo floor. They are owned by Parrot and based in Switzerland. They are well-knwon for the eBee, but today’s star was the eXom. This highly versatile 2 kg UAS is designed for inspection and mapping and is highly capable. The specs are available on their website. Brendan was given the opportunity to show off his skills! I won’t take NBC’s story by posting my video of their video, but they came and took a clip of the eXom for the Today Show tomorrow morning. My laptop battery almost out and it has been a long travel/conference day, so that is all for now. I look forward to writing more tomorrow.